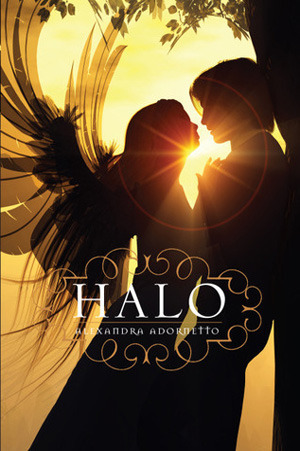 Recommended to: Readers who enjoy angel lore in their reads. I feel I must begin with how impressed I am that Alexandra was only 17 when she wrote this book. The writing in this book is so beautiful, so lyrical, that it literally sparkles off the page. Creative writing classes would do well to take notes ib how Alexandra writes, because her words not only speak to the reader, but seep into their mind. I found myself with a vivid picture of what I was reading in my head. I am not exaggerating when I say that I was blow away from the first line that I read. Impressed might not even be a strong enough word! However, my love affair with the writing in this book simply wasn't enough to keep me invested. I did enjoy the characters, but I never felt that I got to know them well enough to really fall in love with them. Bethany especially I had a hard time with, not because of her naivety but because of her inability to cope. It was difficult for me to bond with her because she was so lovesick the majority of the story, and her relationship with Xavier did not feel real to me. I know I've said it before, but if romance is to be a centerpiece in a book I really feel it needs to be done carefully. Xavier and Bethany somehow just fell head over heels in love, with little or no growth or explanation. The other thing that made this a difficult read for me was the pacing. Although the writing was beautiful, there were portions of the book that simply dragged. I almost felt as though 450+ pages was a little excessive for the story being told, because there were pages of nothing but descriptions of people and places. Also I was a little disappointed with the climactic action in this book. When the action finally came to a head, it was over so quickly and so unsatisfactorily, that I felt let down. With Angels as the main characters I was not expect much bloodshed or anything of that nature, but I did hope for a little more of an epic climax. Overall I did enjoy the story line in the book, but I will admit that I did a lot of page skimming for details near the middle. As I said before, the writing is absolutely stunning, but in my eyes it simply did not mask the slow development of the plot. If you are interested in Angles as main characters, and love lyrical writing, I would definitely give this book a chance. There is a lot to love, and you may find yourself much more drawn in than I was.